If you’re among those who worry about falling ill during your cruise, we’ve got some good news for you: on 10 ships had outbreaks of gastrointestinal illnesses large enough to require reporting to the Center For Disease Control in 2018… and of those only five were the dreaded (among cruisers, at least) norovirus. According to the final tally released by the CDC, only 547 cases of gastrointestinal illnesses were reported in 2018. By comparison that’s less than half the number reported in 2017. A cruise line is required to report an outbreak to the CDC if over three percent of passengers are stricken by illness, which means that it’s possible — perhaps even likely — that more cruisers fell ill, but in small enough numbers that it did not become a full-blown outbreak. While one of 2018’s reports involved a much higher than normal percentage of passengers falling ill (8.56%) it was actually only 28 passengers out of the 326 sailing on the Silversea vessel the Silver Shadow when the outbreak took place in May. While mainstream media outlets love nothing more than to report on norovirus outbreaks on cruise ships, it’s important to note that the illness is far more prevalent on land than it is at sea. So why do we rarely hear about land-based outbreaks? Because there’s a significant difference in the way outbreaks of the virus are reported. Essentially, health officials track illnesses aboard ships, which means that once several passengers have fallen ill, it is reported as an outbreak. Once you’ve come into contact with the virus, the incubation period is generally between 12 and 48 hours. This means that if you come in contact with the virus at the beginning of a cruise, you’re not only going to still be on the ship when you fall ill, but likely pass it on to at least a few other people. The cruise line is required to report the outbreak to the CDC and the next thing you know, there’s yet another headline about an outbreak on a cruise ship. If, however, you come down with the virus in a location such as a local fast-food restaurant or an amusement park, you will fall just as ill and are likely to infect just as many people as you would on a ship. You will, however, have done it long after leaving the point of initial infection. And because it does not happen within the closed and monitored environment of a cruise ship, it is unlikely to be reported. 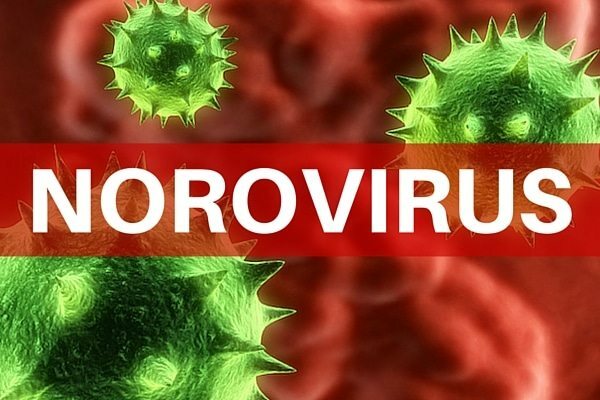 As the CDC site explains, “Currently, state, local and territorial health departments are not required to report individual cases of norovirus illness to a national surveillance system.” As a result, “the virus is usually diagnosed only when an outbreak happens.” And of course, outbreaks are far easier to track in an enclosed environment such as a cruise ship, where the virus has time to not only spread but be documented during the course of the voyage.